Your Conference Solution: Event and Conference Solutions for Meeting and Event Planners. Powerfull, easy-to-use software that provides all the tools necessary to organize meetings and events. Summit is perfect for large or small conferences. Website hosting and design for any budget. Your Conference Solution can design, host or maintain your event website or provide means so you can update it on your own. Group, Tradeshow, Single- Multi-day registrations. Let your delegates or exhibitors register and pay online with our registration and payment gateway solution. From website design and hosting to online registration and credit card processing, Your Conference Solution can provide a number of services to get your event online. 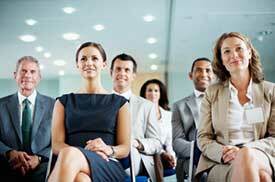 Your Conference Solution provides website and registration solutions for meeting and event planners. We have provided solutions to a variety of clients throughout North America including the Shaw Conference Centre, BASF, University of Chicago, Canadian Manufacturers and Exporters, Make-a-Wish Foundation and many more. Credit card charges from us? If you have charge on your credit card from Pharos Internet Solutions Ltd. please contact us for a duplicate of your event registration receipt.